JUST MOT'd, SERVICED AT TOYOTA MAIN DEALER, CAM BELT REPLACED AT TOYOTA AND COMES WITH 12 MONTHS COMPREHENSIVE NATIONWIDE WARRANTY AND 12 MONTHS AA BREAKDOWN COVER - READY TO DRIVE AWAY TODAY! THIS TOP SPECIFICATION RARE DIESEL 3 DOOR 4X4 EXAMPLE IS IN TRULY EXCEPTIONAL CONDITION THROUGHOUT HAVING ONLY COVERED 56,000 MILES. MUST BE SEEN AND DRIVEN TO BE FULLY APPRECIATED - IF YOU CAN FIND A BETTER EXAMPLE - BUY IT! JUST ARRIVED! 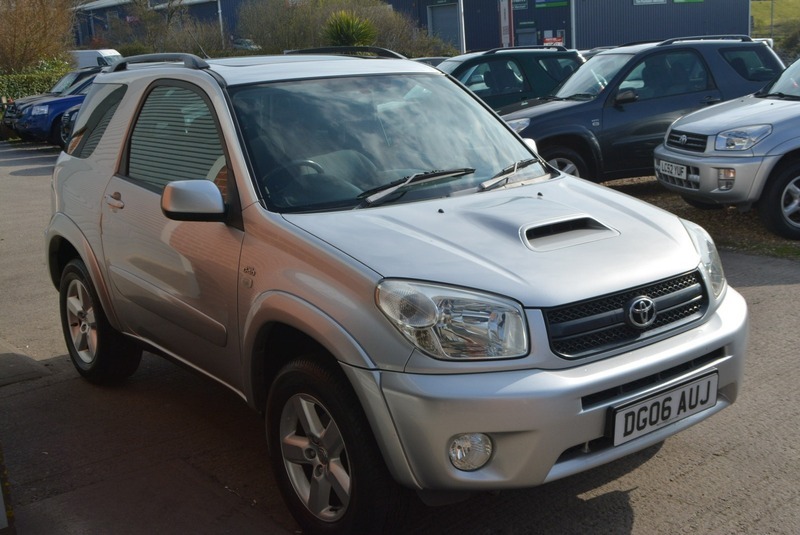 Here we have a stunning TOYOTA RAV4 XT-R D-4D 2.0L DIESEL MANUAL 3 DOOR 4X4 in Argenta silver metallic with two tone grey cloth interior in fantastic condition throughout. Full service history atr intervals of 3k, 7k, 11k, 15k, 20k, 25k, 31k, 37k, 39k, 40k, 42k & 56k having just been service at Toyota main dealer and just hjad it's timing belt replaced in the same service. Clean MOT until April 2020 - ready to drive away! Coming fully equipped with factory fitted electric glass sunroof, alloy wheels, after market satellite navigation system and upgrade media system, climate control air conditioning, cruise control, electric windows, electric mirrors, fully folding and completely removable rear seats, two fully remote keys and one non-remote service valet key. SIMPLY STUNNING!